Everybody needs to have some fun with proper dosage of Hudson Valley rock. That’s what Joe Duraes & The Skills are all about. Rooted in the lower Hudson Valley of NY (Peekskill, to be precise), JD&TS strips down the heavily wax-coated, over-produced sounds common to today’s records to the purer elements of a four-piece rock and roll band. 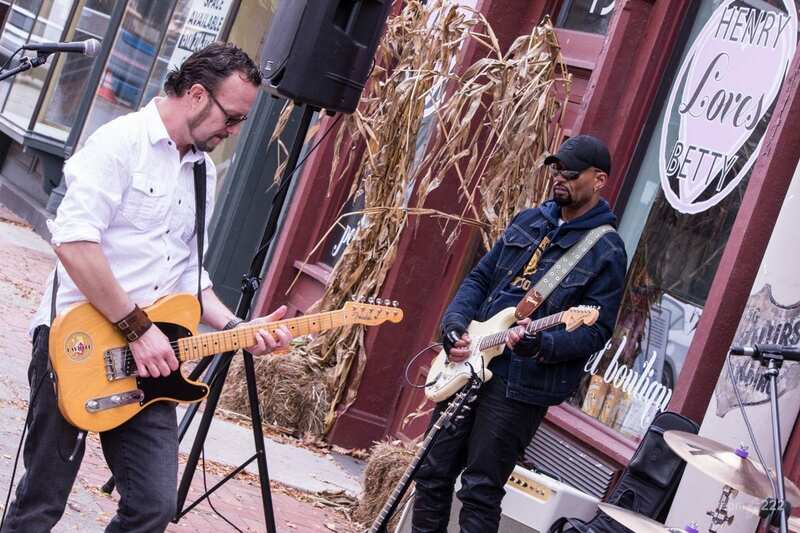 Their focus on performing with a cohesive energy and engaging tunes has garnered attention and brought people back to more of their shows around town. The band didn’t quite start as a band; rather a solo act of Joe Duraes with a regular residency at the Peekskill Coffee House and a few other small gigs here and there. It was early 2014 when things finally lined up and clicked to bring together a group of talented musicians to play the songs Duraes had previously written and work on new material as a band. Currently, Joe Duraes and The Skills is Joe Duraes (guitar, vocals), Rodman del Castillo (lead guitar), Steve Geller (bass/vocals), and Kevin Hupp (drums). The band rolled out a much stronger, tighter sound with the debut of drummer Kevin Hupp at The Winery at St. George in Mohegan Lake, NY on June 13, 2015. Let’s hear what JD&TS had to share with NYS Music. Steve Malinski: So Joe, what prompted you to form the band and how did it come about? Joe Duraes: There are a couple of reasons. First because I wanted to have a band to play my songs with me. I missed having that for a long time, doing the solo gigs for a while. The other reason is I released Ebb Flow in 2013 and because that album was so well produced it just didn’t make sense for me to do all that work only to go play it solo/acoustic again. It was very necessary to get a band together for that, so people can get the full effect. I put the band together January 2014. 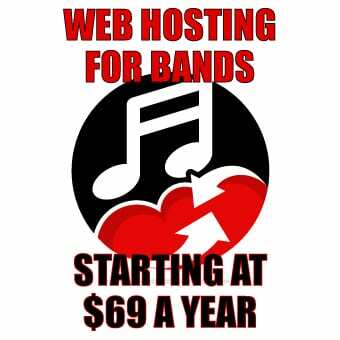 I put a few ads on Craigslist for a drummer, bass player, and a guitar player and that’s how I found them. SM: What are your backgrounds in music? JD: For me, I’m really just self-taught. I started on guitar when I was 13, kind of following the footsteps of my older cousin who at the time was 18. My lessons were really listening to the records I picked up – they were my teachers. All the bands I had listened to over the years, that was my schooling. In my 20’s I was in my first band – well I was in my first band when I was 16 but we never played any gigs – Most of the bands were goth and alternative, so I kind of went through that phase. Then I stopped for about 13 years, a break for a while. I got back into it when I started writing songs again and a few of those made it to the Ebb and Flow record. So the Skills has really been like my baby for the last three years, including the recording process (even though the band has only been around for a year or so now). I was joking recently with Steve and Rodman that they were at their one-year mark and that I had to get them something – a pin or something. Steve Geller: I’ve been a bass player for close to 30 years now, both road musician and studio musician. The most famous gig I had was with The Monkees. I’ve worked with a lot of me heroes – Pete Best (original drummer for the beatles), Ray Manzarek of The Doors, Buckethead, Jane Wiedland from The Go Go’s, just to name a few. Rodman del Castillo: I started with a metal band – Planet Hate back in the early 90’s. From there I did my own thing in Manhattan with My Brothers Dream, kind of a typical rock thing. Did a lot of funk-rock type things and played CBGB’s a couple times. From there I went on with Elisabeth Withers, a singer who later signed with Blue Note Records. I wound up on tour with Janice Robinson – the opening act for Tina Turner on her 2000 tour. Then I came back to NY doing a blues, Hendrix type thing in the Village. Kevin Hupp: In the last 15 years I’ve been producing records out of my studio and Joe came along and I was taken by his sound. We got along very well and I produced and played on his debut album. Fast forward: I’d seen him live a few times and the band sounded great. But as a producer and someone who knows the songs inside-out, something just wasn’t quite gelling. Last time I saw him live I was thinking to myself about who I could turn Joe on to the drums and I thought about it for a moment. So the next day I got a text from Joe about joining the band and we talked for a while. I thought it would be a lot of fun. Joe’s got a great live sound. SM: Can you tell us who some of your influences are? JD: Gosh, I’m going to start with the Beatles. It depends a lot on the decade we’re talking about as I’ve been listening to music since I was five years old. Beatles, Led Zeppelin, U2, Nirvana, Peter Murphy, Bob Mould – I always play his stuff. RdC: I started off digging “Frankenstein” by Edgar Winter and that was it, I was pumped. When I was 9 my cousin asked if I could play this and I was like “no”. Also Clapton, the classic Hendrix. On into the 80’s and 90’s I was getting into the metal guys, Testament, some of the older acts. I liked to listen a lot and emulate their stuff. KH: I’d say the one person I respect a lot is Dave Grohl because he basically came from behind the drum kit with Nirvana and now he’s one of the biggest artists out there and I love his band, what he does. Great drummer, great producer. I appreciate the mindset where a drummer can come to the front of the band and produce as well. There’s been a handful of those guys over the years. SM: Each of you have a somewhat similar story behind joining up with Joe for the band. What can you say about that? SG: I had been on the road non-stop for about six years and I was pretty burnt out and needed to be home. But I wanted to keep playing, not in a local classic rock cover band though. So I started answered some ads, went to some auditions. Then I saw an article in a paper on Joe and later an ad which happened to be Joe’s. We played together and knew right away that this was something that was interesting and I’d want to be involved with. It was too good not to become a part of. RdC: I was just looking around on Craigslist and saw the ad. Joe and I spoke by phone several times and things started clicking. He mailed me the record, I liked it and started learning the stuff. There was a chemistry there. SM: Kevin, since you already mentioned how you recently joined the band, how did you first get involved with Joe’s music before the Skills even came about? KH: Joe was referred to me by Matt Turk, another artist in the Hudson Valley. Joe called me up and I listened to his songs. The cool thing is that Joe sounds like Joe, with a really identifiable voice and the things he brings to the songs. When you’re producing a record you look for things like that and things took off from there. SM: And Joe, what’s the story behind Kevin joining the band in 2015? JD: I met Kevin around 2012 when I hired him to produce ebb and flow and always wanted him in the band. I asked him several times but he politely declined because he wasn’t around. We’ve had a couple of drummers in the band and while they were good players they just weren’t the right fit for us. So we recently spoke to Kevin about going back to record in the studio again and I asked him like a hail-Mary pass and I asked him as a far-reaching question if he’d consider again joining the band. I didn’t expect in a million years for a reply but just 5 minutes later he said that he was actually thinking about that. So we talked, the four of us. I basically told him that he created the sound of the CD and that set the foundation for what became The Skills, we play those songs live. Every drummer we’ve had has basically been playing your parts so it just makes sense for you, as the creator of that rhythm and sound to be a part of the group. SM: What’s the future looking like for Joe Duraes & The Skills? JD: The future’s looking good now that Kevin is in the band. Kevin, being a world-class musician, drummer and producer for 35 years, brings with him a lot of experience and a lot of knowledge not just with playing drums but in music. You can be a drummer but if you’re not a musician you’re not a good drummer. We’re really looking forward to the door this will open for us. He has a lot of friends, and we have a lot of friends and it should bring us new opportunities to play bigger shows, bigger venues. Joe Duraes & The Skills are online at their website, Facebook, YouTube, and ReverbNation where you can keep up with their show schedule. 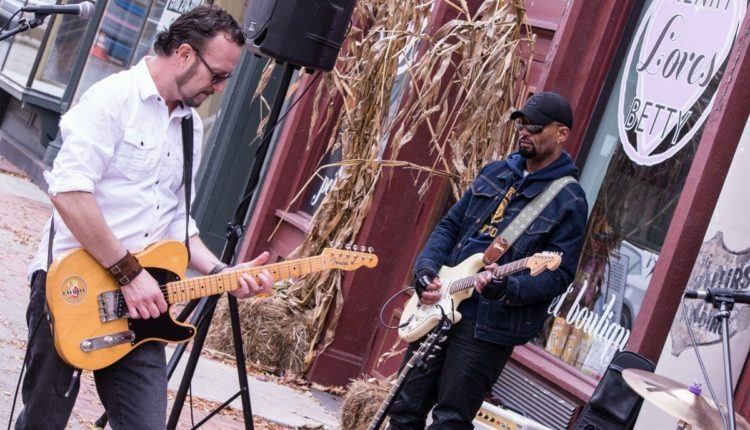 Check out the gallery below of some of their 2014 performances in Peekskill, at the River Street Beat Shop in Troy, NY and of Kevin Hupp’s June 2015 debut at The Winery at St. George in Mohegan Lake, NY; but more importantly check them out live.